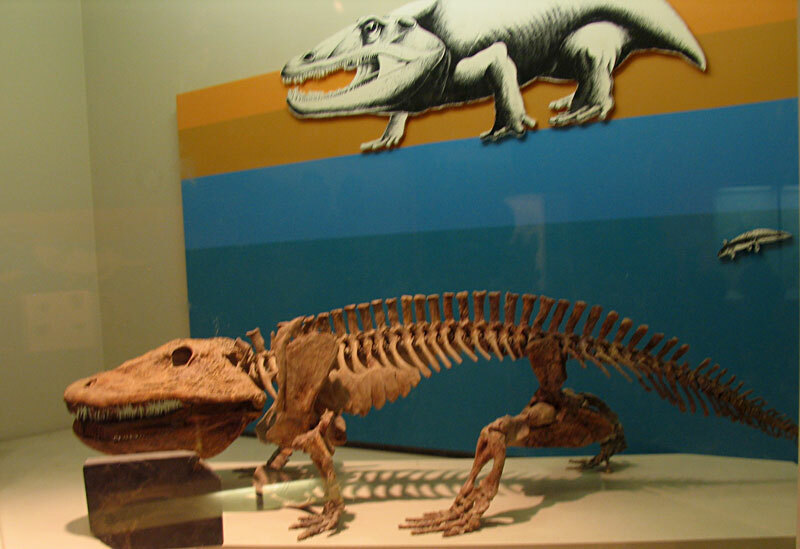 This fossil of an adult Eryops displayed at the Smithsonian Museum of Natural History (August 2010). 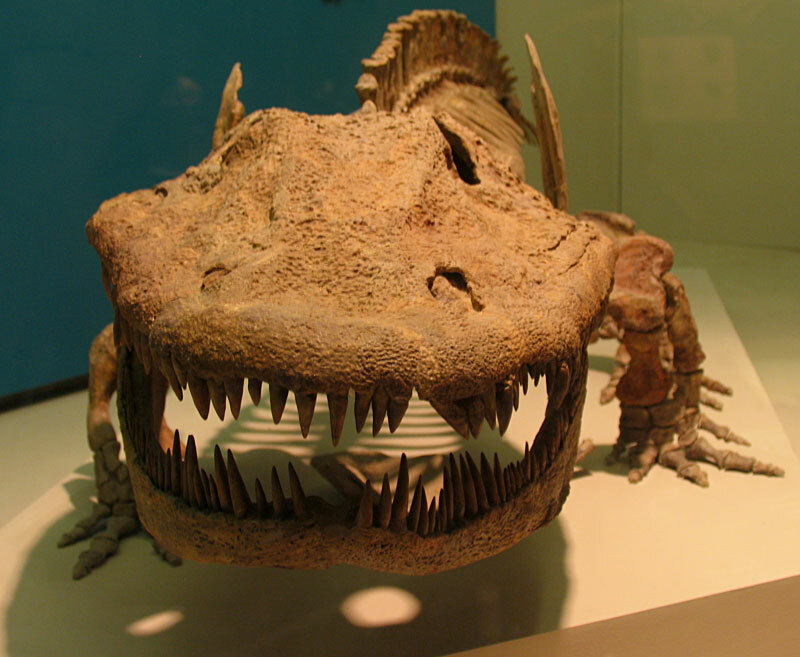 The creature is an ancient amphibian that existed in the Early Permian Period (270 million years ago). Fossil was found in Texas.